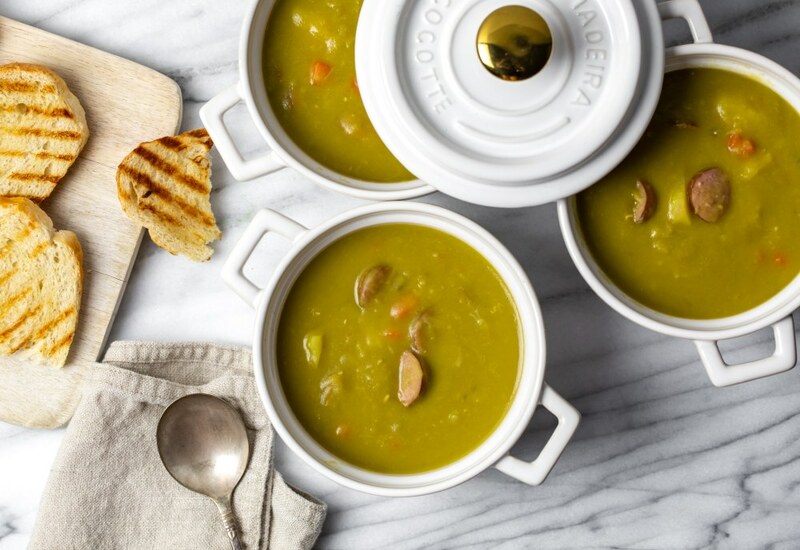 Split pea soup is a warm and comforting dish for cold fall and winter days. It is super easy to make with the pressure cooker and it is ready in about 45 minutes. The kielbasa adds a smoky flavor to the soup and the carrots and potatoes give you veggies with every bite. Serve this with a nice crusty bread for a complete meal at lunch or dinner. Skip the kielbasa and use vegetable stock if you want to make this a vegetarian and vegan soup. Add a touch of smoked paprika if you want to keep the smoky flavor that kielbasa gives the soup. Per Serving: 315 calories; 17g fat; 26.7g carbohydrates; 15g protein; 41mg cholesterol; 926mg sodium. This is a great recipe. I made it last night for dinner... super easy and super delicious. I will be making it again! Split Pea soup is hubby's favorite and this one really passed his taste test! I used turkey kielbasa to reduce some calories. It tastes great and so fast! We love it!